20.09.2011. These days, saving resources is more important than ever. 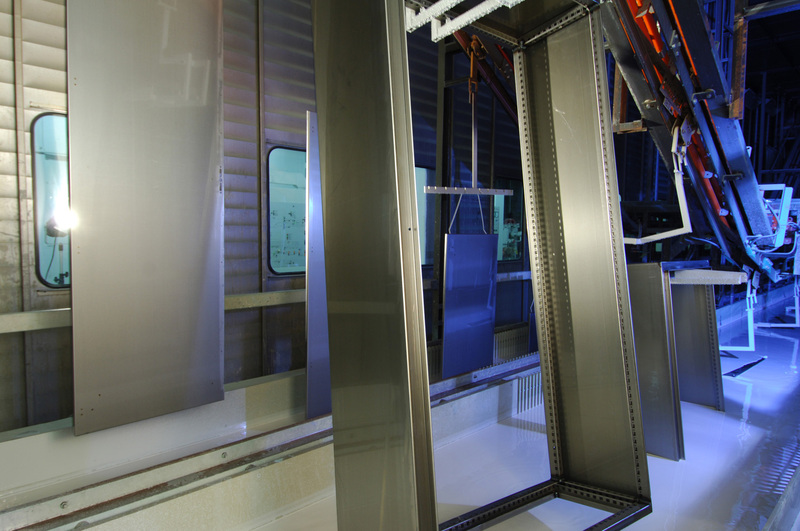 Rittal is a good example of a company that makes the best of the energy efficiency technology available to industrial companies today. The world’s leading provider of enclosure technology systems has established a successful practice of implementing the ideas of its own staff. Over the past five years, Rittal’s largest plant in Rittershausen has cut its consumption of electricity, gas and water by up to 30 percent. "The responsible use of resources is firmly anchored in Rittal’s corporate principles, and reflected in consistent efforts to promote energy efficiency in our production", explains Michael Weiher, President Technology at Rittal. For this company, energy efficiency in production is a measurable variable. Energy consumption levels are recorded as standard, and cover everything from the external purchase of electricity, gas and water to the consumption of self-generated compressed air and solar power, as well as renewable energy from cogeneration plants. The readings can now be broken down and allocated to individual machines. The energy consumption per plant, calculated as a ratio between energy consumption and production volume, serves as a benchmark for comparison with other Rittal production sites. Friedhelm Utsch, Head of Security, Energy, Environment and Buildings (SEUB), an independent internal service-provider and energy consultant to the Friedhelm Loh Group, of which Rittal is the largest company, is very pleased with the energy statistics from the Rittershausen plant. "Between 2006 to 2010, we have continuously reduced our consumption of all resources: Electricity by 16 percent, gas by 28 percent and water by 30 percent." Resource-saving ideas often come from the employees themselves. At Rittal, all employees are encouraged to participate in a continuous improvement process (CIP) and suggest potential energy-saving improvement measures. Corresponding measures are followed up by the dedicated energy teams in every plant and implemented by in-house specialists. The certification of all plants – including international production sites – to the environmental management system ISO 14001 ensures the monitoring and assessment of targets, measures and implementation. 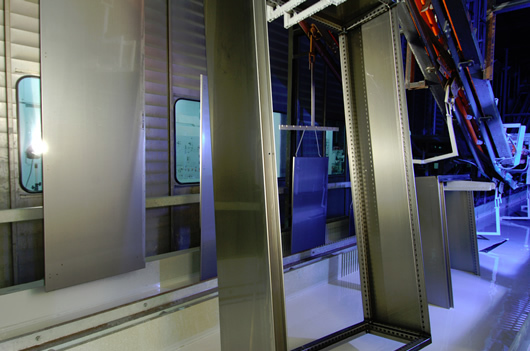 The effectiveness of the efficiency measures at Rittal has merited independent recognition. Two employees from the Rittershausen plant who analysed the enclosure spray-finishing process and optimised its efficiency were presented with "Best Energy Efficiency Project 2010" and "European Energy Manager of the Year 2010" awards. Rittal also won first prize in the Hessian Climate Protection Competition in 2007 for energy efficiency measures within companies.